One of just two professional female riders currently competing in the sport, Texter has more wins than any rider racing in the AFT Singles class. 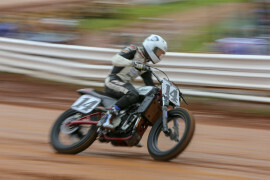 She currently rides for the Red Bull KTM Factory Flat Track team. She is a strong inspiration for female riders wanting to join motorsports, and has taken on the position as the next great American role model for girls. She says she “would love to get more girls involved with motorcycles, especially in the sport of Flat Track. To see the look on the little girl’s and women’s faces, and when they tell you that you’re an inspiration…that encourages me to keep riding." 2017: Returning with a bolstered Richie Morris Racing in 2017, Shayna quickly got her groove back. She scored her first win in four years at the Law Tigers Arizona Mile presented by Indian Motorcycle. 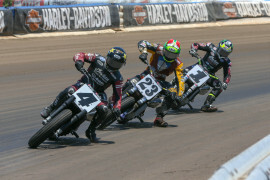 The Mile-specialist backed up that win the following weekend at the Harley-Davidson Sacramento Mile presented by Cycle Gear. 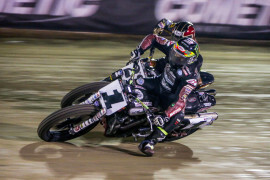 She went on to win five races, including another Mile thriller at the OKC Mile presented by Indian Motorcycle, a dominant win on the clay at the Rolling Wheels Half-Mile and the Lone Star Half-Mile at Texas Motor Speedway. She finished third in the final standings after leading the points for much of the season, further establishing herself as not only the most successful female in the sport but the winningest rider in the class with a total of 13 wins to date. 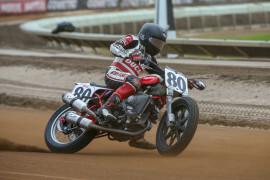 ... 2016 and earlier: Shayna raced in the premier GNC1 class the past three seasons, with a best finish of 10th in the 2016 Springfield Mile. Before that, she competed in GNC2 (the current AFT Singles class), and finished fourth in the 2013 championship. 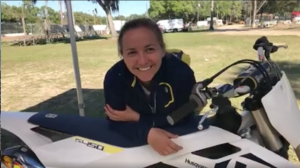 Shayna won three races and placed fifth in the Singles points in 2012. In 2011, she became the first female to win a main event, winning in GNC2 at Knoxville Raceway. 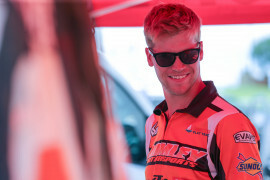 2017 A breakout season for Texter, who won five races among nine podium finishes and finished third overall in the AFT Singles championship after leading the point standings for much of the campaign. Made the GNC1 Main at Santa Rosa and finished 17th. Raced for RMR/Kawasaki. 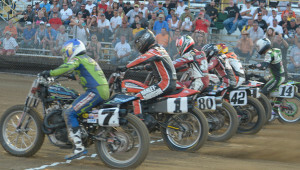 Made one GNC1 main event, posting a 10th place finish at the second round of the Springfield Mile. Raced for Richie Morris Racing. 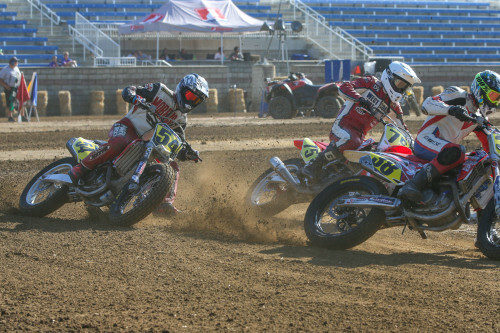 2014 Texter’s rookie season in the GNC1 ranks saw her make four main events with a best showing of 12th at Lima. 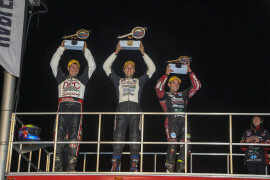 2013 Texter’s four top five performances helped her finish fourth in the final GNC2 point standings. 2012 – Competed in GNC2. 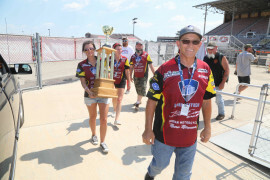 Three victories helped her finish the season fifth in the point standings. 2012 Competed in the GNC Pro Singles competition. Three victories helped her finish the season 5th in the point standings. 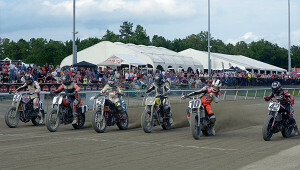 2011 Shayna finished eighth in the Pro Singles class. Her season highlight was winning the Pro Singles main event at Knoxville Raceway, making her the first female to win a Pro Singles main event in the long history of this great sport. 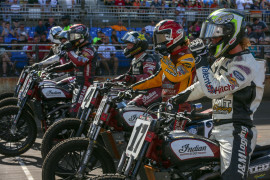 Why does Roof Systems’ owner support nine American Flat Track riders and the AFT Singles series? Because he loves it! 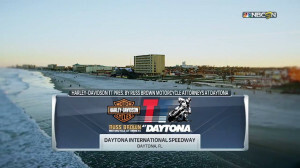 Superb action in both AFT Twins and AFT Singles classes makes this a telecast not to miss!